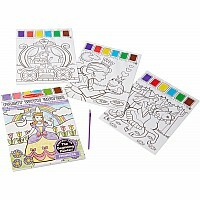 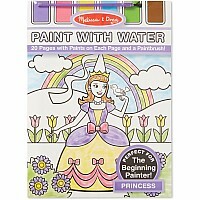 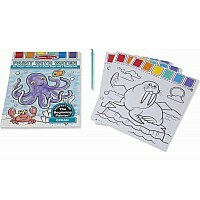 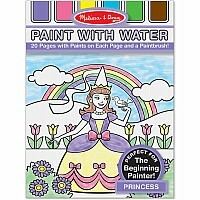 A special paint palette is embedded right in the pages of this all-inclusive paint-with-water art activity. 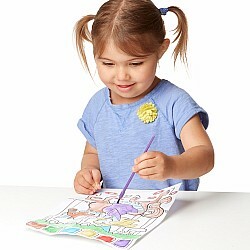 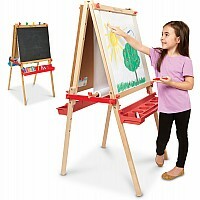 With a cup of water and the included paintbrush, beginning painters can get instant rewards-with no messy paint spills! 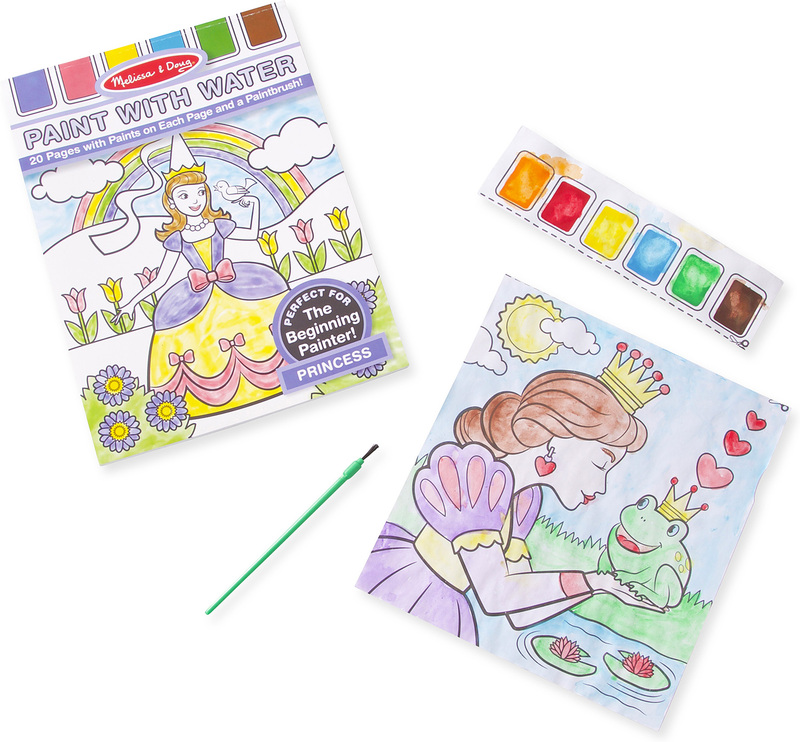 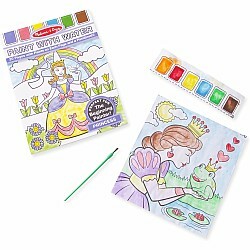 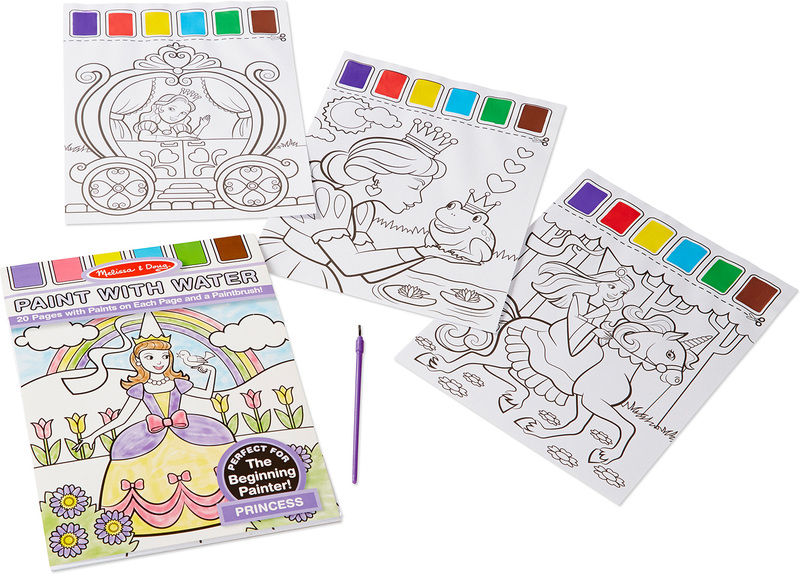 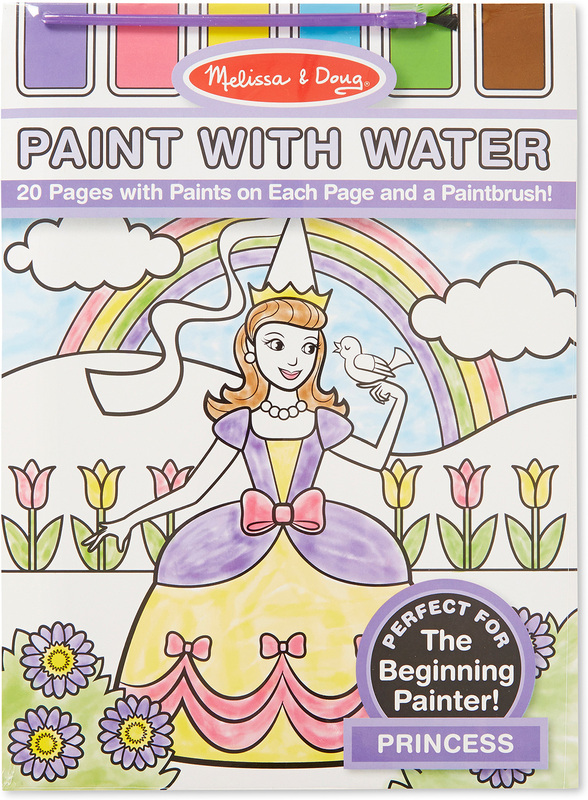 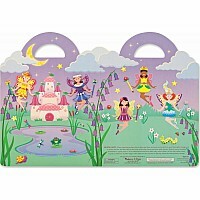 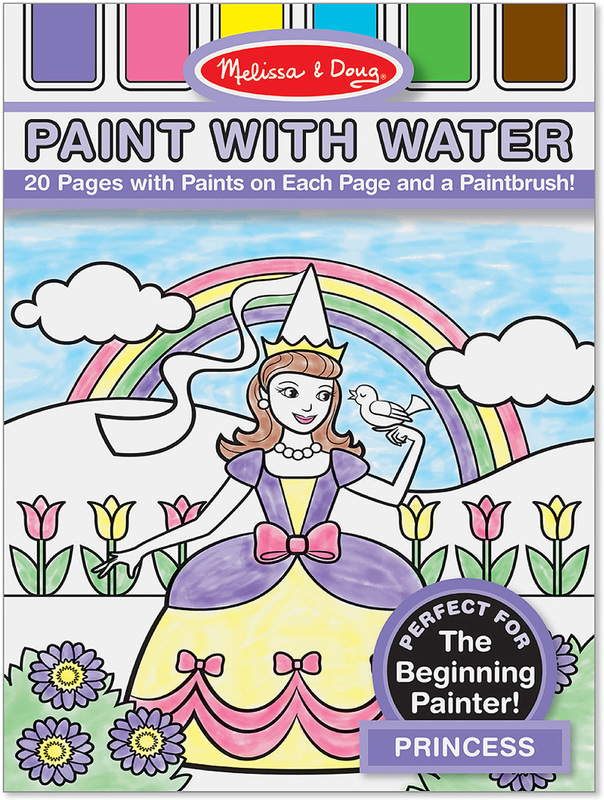 Twenty picturesque pages show a variety of pretty princess scenes just waiting for your little painter to add a royal touch of color!